One way of helping you decide how far you need to continue your education is to find out exactly what the educational requirements are for the job/s you want. And then finding out where you have to go to get them. 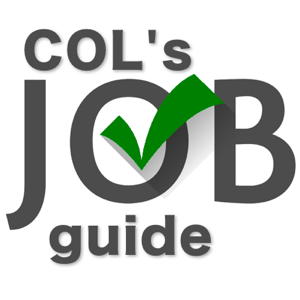 These pages look at the range of different educational (and other) requirements needed for the jobs in our guide. Please note: these can vary for many jobs from one employer to the next. There may also be many different pathways into the occupation which require different entry levels. No minimum official qualification required for entry. Training for these jobs is usually offered on-the-job. Employers would prefer candidates to have completed Year 10. Employers would prefer candidates to have completed Year 12. Year 12 needed to access further education and training. Training provided through a formal Apprenticeship agreement. Training provided through a formal Traineeship agreement. Training through a Vocational Education and Training course. Training provided at a university. These jobs/courses require you to complete specific subjects at school. These jobs require you to complete other training courses. Candidates must be 17+ years old. Candidates must be 20+ years old. Entry is competitive. Aptitude or fitness tests or similar are essential. Entry is competitive. An interview or similar is essential. Entry is competitive. An audition or similar is essential. May require a Medical Exam. Previous Experience in the field useful. May require a Provide First Aid certificate. May require a Police Check. May require a “Working with Children” check or equivalent. May require a drivers licence or some other “ticket”. May require an “RCG” certificate or equiv. May require an “RSA” certificate or equiv. These jobs are designated Aboriginal positions. These jobs are designated Torres Strait Islander positions.